Powermaster XS Torque Starters are an excellent choice for highly modified engines or applications where heat soak or limited space is a concern (street rods, race cars, or street machines with close proximity to headers, etc.). 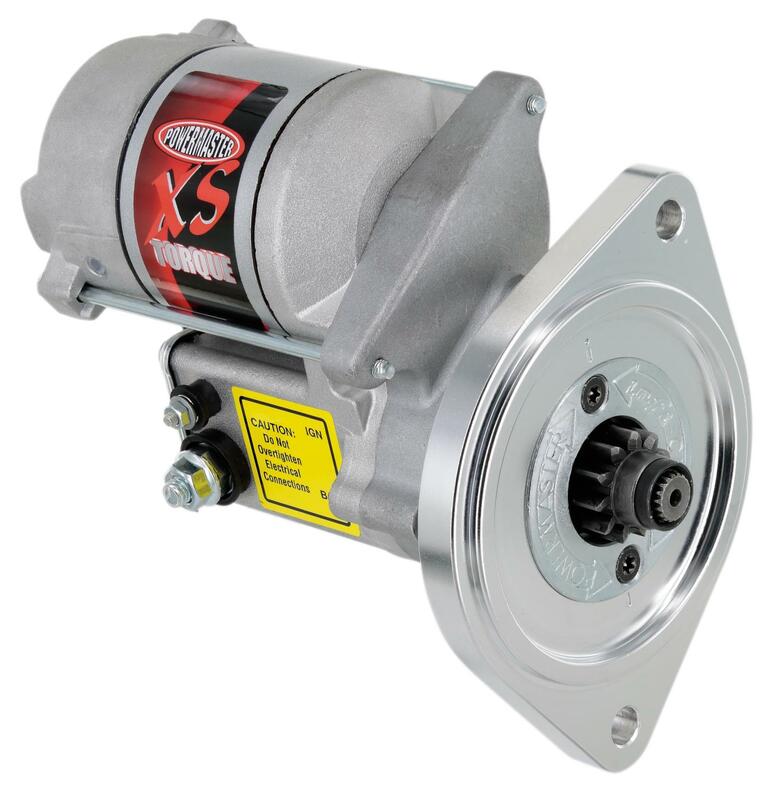 Features of the Powermaster XS torque starter include a 4.4:1 Gear Reduction Ratio, 200 foot pounds of torque, up to 1.4 kilowatts and up to 1.8 horsepower. These SX torque starters are machined with an adjustable billet aluminum block, making them the lightest 200 ft/lb starter available on the market. SX torque starters are recommended for for engines with up to 18:1 compression and they are designed to clear most oil pans and headers. The InfiCLOCK system is standard on many applications and designed for 360 degree rotation with no heat soak problems or hot start problems. Dyno test results included. . Does Powermaster 9504 fit your vehicle? 9504 is rated 5.0 out of 5 by 3. Rated 5 out of 5 by J Von from Good Product After a succession of discount parts store starters, was finally ready for a well made starter. Now my header equipped 351w intermittent heat soak issues are a thing of the past. The Powermaster 9504 starter was well worth the price! Rated 5 out of 5 by Jeep 80 from This starter worked great on my 80 CJ when I replaced the 258 with a 302. I had to remove this starter # 9504 because two of the starter block screws loosen up and the engine won't start. Since the rotation is standard does that mean I can just line up the pre-clocked marks on the starter block and reinstall this starter ? Yes you can. use a little loctite to help keep that from happening again.